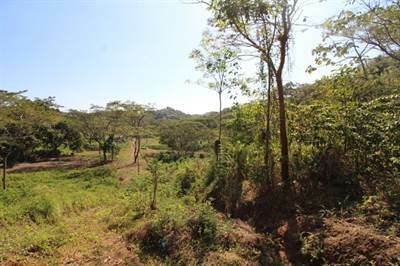 These lots are one of the best (and only) opportunities for a quiet, scenic spot in the valley of foothills on the edge of Jaco. This area is scenic, private, somewhat hidden and a perfect spot to build or develop your dream home or cabinas or home with guest- house. This area is just a few minutes drive from the growing “main street” in Jaco as well as the beach, yet feels a world away in a quiet natural scenic environment, with very little development. There are two lots available here, these lots are contiguous if you’d like to make an offer on both! 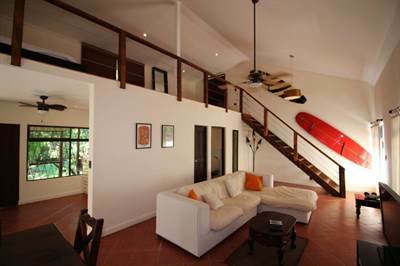 LOT 1 is 530 square meters (5703 square feet), priced at the unbelievable price point of $35,000 USD. 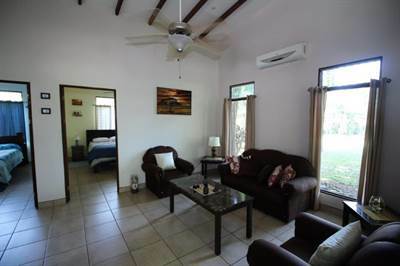 LOT 2 is 573 square meters (6165 square feet) and is priced at $45,000 USD. There is electricity and water to the lots and there is a nice home being built on a neighboring lot already. There are a total of 6 lots in this “neighborhood” these two choice lots remain. One of the most attractive Big Parcel pieces of property that we have ever seen in our inventory. 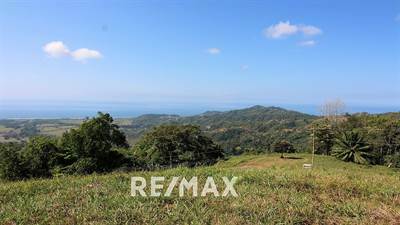 Featuring 443,106 square meters (109.49 acres), with easy access, interior paved roads, under a ten-minute drive to Hermosa/Jaco, awe-inspiring views, and land characteristics that are development friendly. Total land area on this project consists of 25 BIG SIZED LOTS (over an acre each) with cut terraces, ocean views, and power and water lines to each lot. 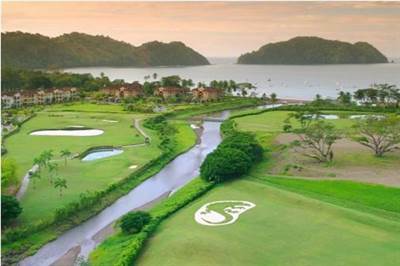 Property represents an amazing opportunity for discerning investors looking to develop, land bank, or simply own an amazing tract of usable Costa Rican Central Pacific real estate at a heavily discounted, motivated price point. PRICE FOR EVERYTHING except 4 top sites (A1, A2, B, and C) is $700,000 (that is a 15% discount, $1.74 per square meter or $33,000 per home site). This land mass would total 402,511 m2, which is 99.46 acres. 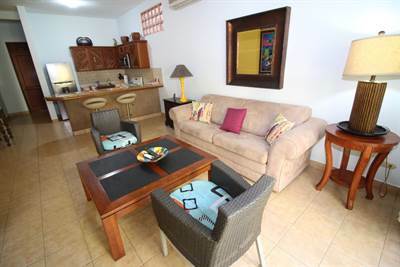 This is an affordable, well appointed 2 bedroom/one bath beach home that is about a five minute walk to the beach at Playa Azul, near the town of Tarcoles, about 20 minutes north of Jaco. This is a low key, quiet gated community, with very low HOA fees. There are just a handful of homes in here with a community pool and nice green spaces. There is 24 hour security and gardener. 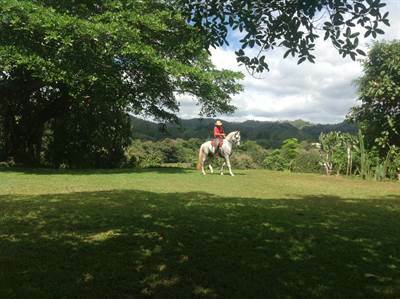 This area is off the tourist trail and the closest town is a real Costa Rica small town called Tarcoles. 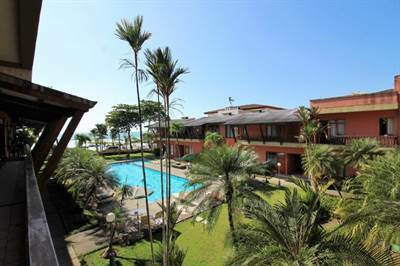 This property is sold fully furnished and is kept in excellent condition by North American owners. . This area is under an hour drive from the capital city of San Jose, and is one of the first beaches as you arrive in the Central Pacific area. The beach is very open and spacious with plenty of room and soft sand as well as tidal inlets for fishing and wildlife. 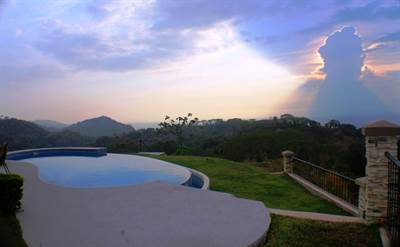 Property prices in this area are much cheaper than Jaco and the scenery is beautiful. 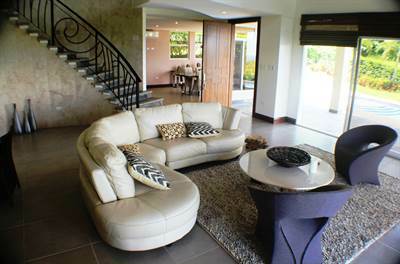 This property also rents out for those seeking rental income.